Hello Everyone. 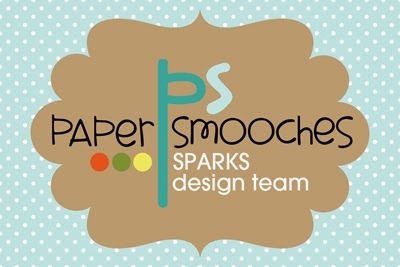 I'm back again this week for the Paper Smooches SPARKS Challenge! This week is all about "Anything Goes". 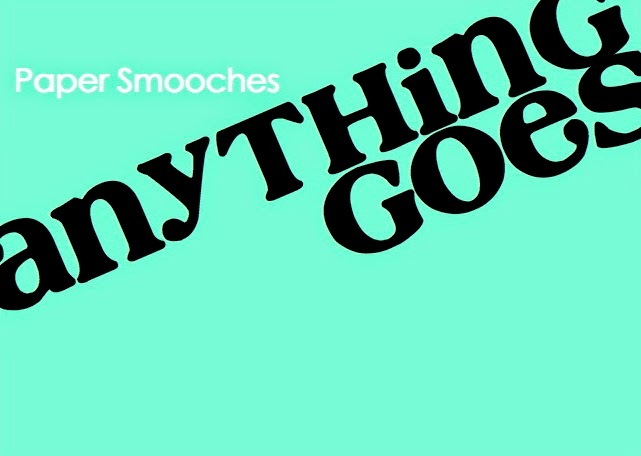 Yes, Anything Goes is very popular as you can create any type of project...you just need to feature Paper Smooches products on your creation. For today's card, I was totally drawing inspiration from a new baby wipes container that I picked up at Walmart recently. 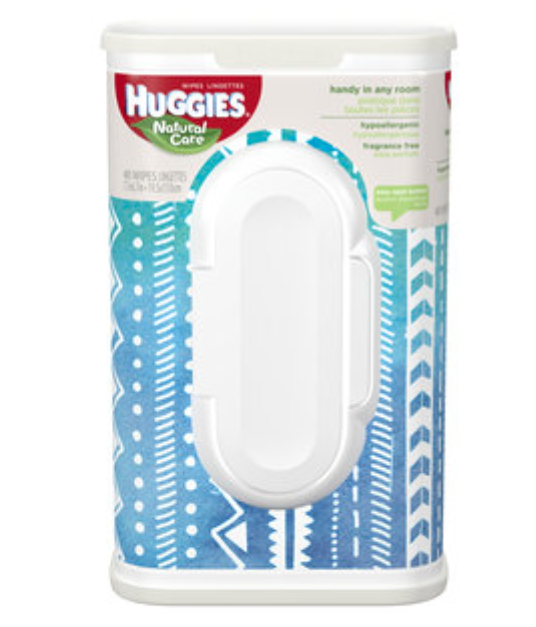 (I keep this container on my craft desk for quick cleaning of my stamps or other messes). Here is how my card turned out! The first think I did was stamp different borders from the Borderlicious stamp set in Versamark ink and white heat embossed them. Once I let it cool down for a minute or two, I used my Mini Ink blending tools and some Tim Holtz Distress Ink and blended in the back ground. I really love how this card turned out and how the background totally turned out like the wipes container! Be sure to join in on the fun of Anything Goes over on the Paper Smooches SPARKS Challenge Blog and check out the other incredible creations by the design team! Hope to see you back here real soon! LOOOOOOOOOOL! I love that you said my idea was genius! Why can't I think of things for MY creations when you're over here!!?!?!? That's not genius at all:) LOL! Butterfly Reflections, Ink "Just called to say"
Butterfly Reflections, Ink Sketch Challenge!